Qualified partners to resell AWS services to both commercial and public sector end customers. The AWS Global Channel Reseller Program enables qualified partners to resell AWS services to both commercial and public sector end customers. The program is designed for APN Consulting Partners who have built their AWS practice to include professional services and management of end customer AWS deployments, such as: System Integrators (SIs), Managed Service Providers (MSPs), Digital Agencies, and Value-Added Resellers (VARs). AWS Channel Resellers value owning the customer experience from end-to-end for their AWS-based offerings. If you are a new APN Partner interested in the AWS Channel Reseller Program, please note we accepting applications for the new AWS Solution Provider Program. To learn more, click here. APN Consulting Partners interested in becoming an AWS Channel Reseller are required to meet program prerequisites before applying. To get started in the Channel Reseller Program, you must register as a Consulting Partner with the AWS Partner Network (APN) and upgrade to the Standard Tier. Follow the steps below to complete APN registration and receive access to the APN Portal. In order to apply to the AWS Channel Reseller Program, partners must demonstrate the skills and knowledge to effectively leverage AWS solutions to their customers. 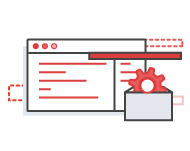 Partners interested in applying to the program are encouraged to utilize the below tools to build their AWS practice. Earn APN Partner Accreditations: APN offers Partners e-learning courses to help technical and business individuals to deepen their knowledge of AWS services. Accreditation courses are available online via the APN Portal at no cost. APN Partner Webinars: Take advantage of webinars focused on educating and enabling partners on technical, marketing, and business topics. Register and learn more here. Download Partner Content: Search from a repository of partner-focused technical and business content designed to support your firm in building its AWS practice, such as technical whitepapers, reference architectures, and current presentations. Log in to the APN Portal to download content at any time. 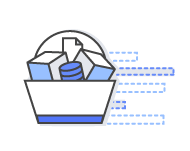 Create AWS Reference Architecture: Apply guidance and best practices from the AWS Architecture Center to build highly scalable and reliable applications in the AWS Cloud. Step #1: Update Partner Scorecard: Before submitting your application, please make sure your firm’s Partner Scorecard is up-to-date. To access your Partner Scorecard, log in to the APN Portal and click on “View Partner Scorecard” found in the left navigation. Click "Update" next to "AWS Channel Reseller"
Complete Application & Click "Submit"
After your application has been submitted, a member of the APN Team will reach out within 3-5 business days. Interested in the AWS Government Reseller Program? Please connect with your Public Sector Partner Development Manager to learn more about the program. If you do not have a Public Sector Partner Development Manager, please send a request to aws-publicsector-partners-engage@amazon.com. If your firm has any questions regarding the program or application, please review the APN Knowledge Base.